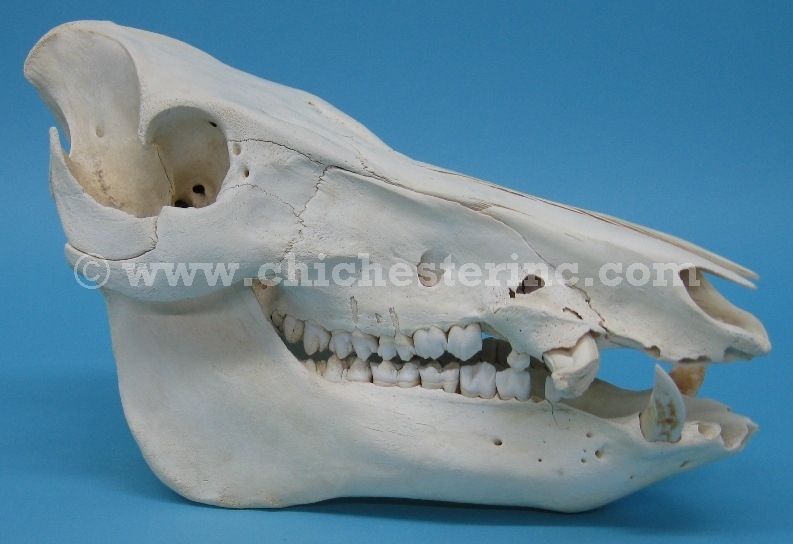 These skulls have been collected in the fields of south Texas. They include the teeth and the lower jaw. Our Gxx codes denote individual pieces. 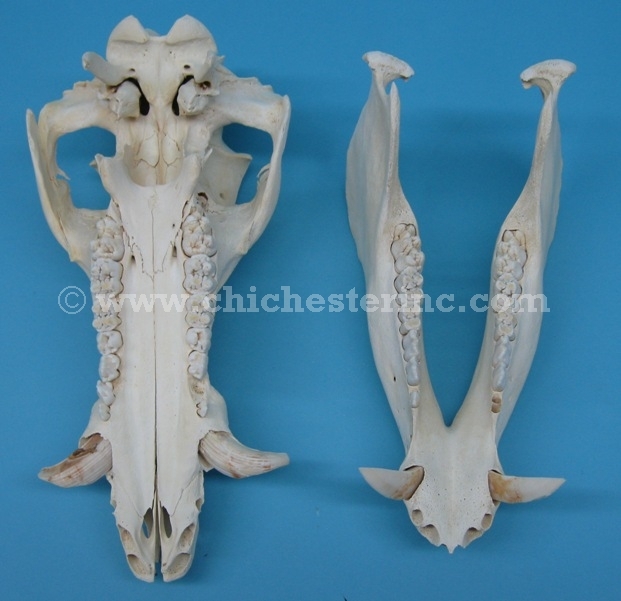 If you would like to order a specific wild boar skull, please go to our Gallery to pick the exact one shown. 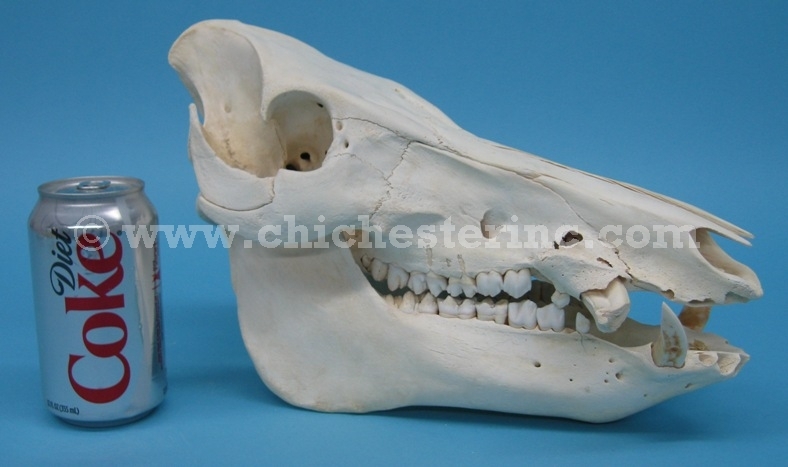 Genus and species: Sus scrofa. Wild.